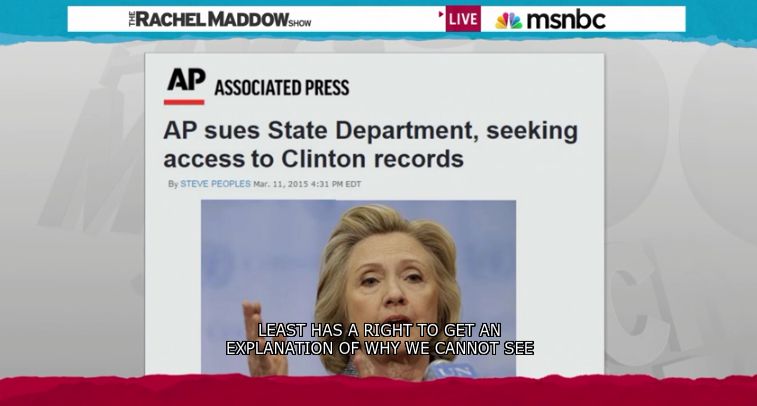 AP sues State Department for access to Hillary Clinton records - Jay Ward Brown, lead counsel in the Associated Press lawsuit against the State Department over access to Hillary Clinton's e-mails, talks with Rachel Maddow about what the AP is seeking and the poor responsiveness of the State to document requests. 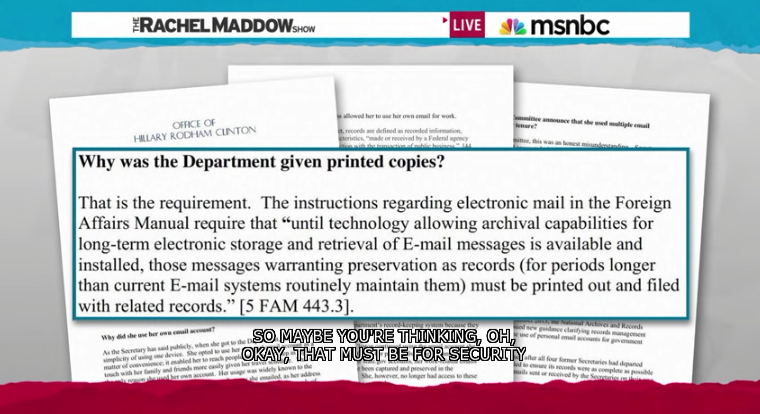 Answer: Turns out the department is so outdated THEY ONLY TAKE PRINTED COPIES! 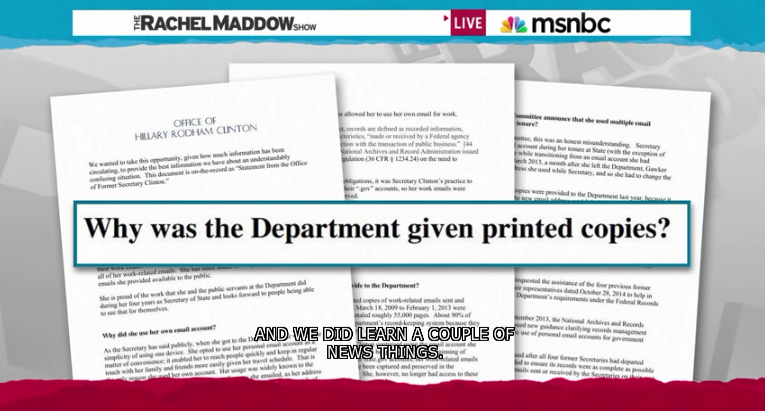 Press frenzy over e-mails met by uniquely prepared Hillary Clinton - Andrea Mitchell, NBC News chief foreign affairs correspondent, talks with Rachel Maddow about Hillary Clinton's handling of questions about her e-mail, and the lessons Clinton has learned from earning a unique position in U.S. politics and on the world.